WhatNow Service, developed by the Red Cross and Red Crescent's Global Disaster Preparedness Center in partnership with Google, is designed to increase the speed and dissemination of disaster preparedness and risk reduction messages. It is founded on IFRC's Public Awareness and Public Education (PAPE) key messages for disaster risk reduction, covering 20+ hazards. Red Cross/Red Crescent (RC/RC) National Societies adapt these multi-hazard key action messages to their local risks, language and context to ensure consistency, clarity, and safety. National Societies upload the messages on to the global WhatNow Message Portal, which hosts all 190 National Societies' localized WhatNow messages. 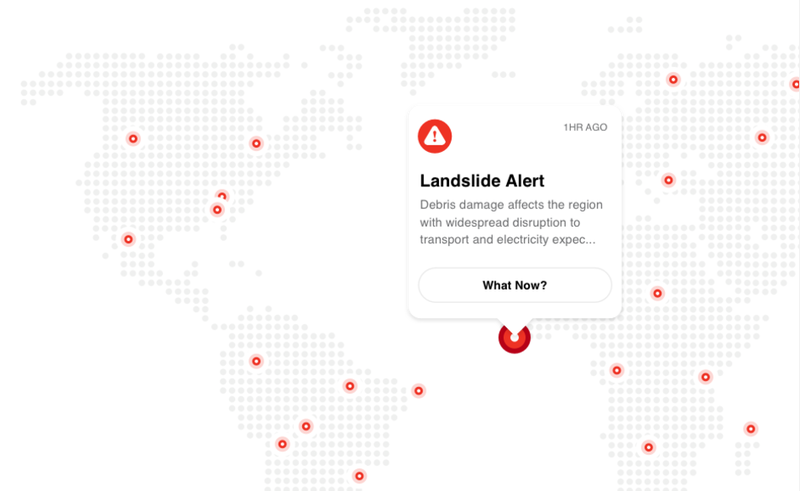 Partners -ranging from global networks like Google to regional, national, and local media companies- can access WhatNow messages through the open API and broadcast them alongside hazard alerts already disseminated on their platforms. National Society HQ, branch offices, volunteers, and partner organizations can view the WhatNow messages on a Message Viewer while coordinating harmonized messaging across field communications and programming. As a result, community members receive the RC/RC attributed messaging from many different communication channels and are more informed on how to safely prepare in the face of the alerted disaster. 20+ Hazards: Drought; Earthquake; Flood; Hurricane; Typhoon; Tropical Cyclone; Wildfire; Hailstorm; Extreme Heat; Extreme Cold; Winter Storm; Landslide; Volcanic Eruption; Tsunami & Tidal Surge; Chemical, Biological, Radiological, & Nuclear Emergencies; Pandemic; Active Shooter; with more to come. 6 Urgency Levels: mid-term forecast, forecast, watch, warning, immediate, recovery. Attributed to Red Cross/Red Crescent National Society. Download the One - pager. Step: RC/RC National Society works with GDPC to upload localized messages on the global WhatNow Message Portal. Step: Media networks access WhatNow messages through API and broadcast alongside hazard alerts they already disseminate on their platforms. The Message Viewer is available for printing and sharing and social media communications. Step: At-risk communities receive WhatNow messages from many communication channels. Step: Community members safely act. Are you a Red Cross Red Crescent National Society interested in contextualizing and/or uploading messages? Review our WhatNow Message Portal Toolkit and reach out to us through the contact form.